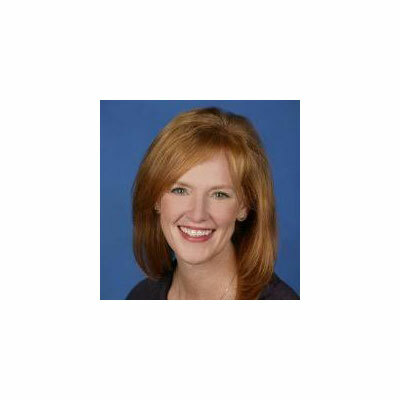 Darci Kleindl is the GM for the AWS North American Partner business. She sets the cloud business strategy and operating model within North America to deliver AWS services through the partner ecosystem to all customer segments. She has built innovative models to identify business value with partners and customers to gain long term sustainability of the AWS prescribed services and solutions. She starts each day focused on the responsibility to ensure every customer is successful with the industry's most customer centric partner ecosystem. Since joining AWS fifteen months ago, Darci has reshaped the business strategy and planning process and redesigned the field operating model in support of the growing success criteria of AWS customer's and partners' across North America. Darci is known as an industry executive strategist and collaborative leader who takes action to bring business value to customers and exceed customer and employee expectations by building high impact teams and reinforcing customer obsessed decision making and behaviors. Prior to her current role, Darci was at Microsoft within global sales, partner and service organizations (direct, inside, service, and partner channel sales leadership), where she drove the business to devise new options, search for new paths, and outperform ambitious goals. The North American channel team delivered over $2B in revenue for 2017. To optimize a business of this size, we needed more consistency and predictability in our processes and channel engagement model. We started this transformational effort a year ago by listening to our partners and customers to create a shared future vision, design improved processes and programs, and establish mechanisms for bi-directional expectation setting for 2017. We clarified our channel operating model to better enable our partners to drive incremental success with our shared clients using the AWS platform, and invested in over 40 new partner sales, technical, and field marketing roles across the US & Canada, allowing us to execute in a more focused manner against our strategic priorities and in line with our new operating model. We built a NA Partner Solutions catalogue showcasing channel partner solutions to our field sellers, and in our external communications sought to provide clarity to our channel on our future vision, strategic priorities, and expectations. We constantly focus on "Customer Obsession", and in my role I also extend that to "Partner Obsession", building the greatest team and using our leadership principles and as my guiding compass for mutual sustainable success. My goal for this year is to continue to deliver quality results for our clients, in partnership with our channel. We will do this by further increasing trust & credibility with all customers and suppliers, while increasing efficiencies gained through continuous process improvement. I am very focused on our team capabilities and talent development, and will prioritize further investments to deepen & strengthen our organizational capital. Through these efforts I hope to drive increased awareness that AWS is a "destination location" for attracting top talent, personal development, and professional growth. This should translate into a better channel experience as well. While honors and awards are offered at a point in time, recognition of my leadership as one that builds trust and holds other's best interest in mind are key factors for success. Knowing that people feel valued and are satisfied in role, engaged, and committed is my greatest honor. Additionally, I have received coveted awards including: Circle of Excellence Club, Exceptional Business Leadership(s) and selected as the Women's Leader of the Year (MSFT), celebrated in the Wiley's Group Case study for exemplary leadership in building cohesive teams, and showcased in the Association for Talent Development Magazine for building organizational capital. I value most people, men and women, who operate with honesty and integrity. I have profound respect for Kathy Nolan who works at AWS. She practices a distinctive form of assistant leadership. She is extraordinarily bright and is unsurpassed in her effectiveness. While her capabilities exceed her position, her personal value of optimal engagement with her family is the foundation for her career decisions. She does not need the limelight and has a way of getting things done with humor and collaboration that builds trust and energy within a broad diverse team. Kathy has literally impacted thousands of people's success! I have had the blessing of parents who have always provided sound advice throughout my life. However, I would go back and advise myself in three areas. I would tell myself to always prioritize health and safety as critical elements of life. Secondly, be bold and confident to articulate to others what matters by actions versus only the use of words. Words can be spoken by anyone, however, actions are based on true beliefs and emotions. Third, lean into your humor, curiosity and empathy for others as core relationship levers that will come in handy in business and beyond. Coincidently, I am not sure that anyone fully masters the skill that I hope to strengthen. I am committed to becoming more effective at work life integration. Work life integration is not a problem to solve by an ongoing dilemma to manage as an ongoing element of life. We aspire to live each moment as if there were not another, but often times we are managing multiple priorities and completely present in the moment. I intentionally introduce mechanisms that align to the present-day happenings within my life and aspire to never let a moment go unappreciated, life is a blessing. Harvard Business Review: The Data Driven Manager, Make the Numbers Work for You These articles focused on the evolution of business intelligence and how modern managers can use it to push their organizations to the next level. The articles highlight how to overcome the traditional mindset of data management, actions you can take as a manager to utilize the information, and where the learning can be applied in your business. My curiosity aligned to the underlying themes to substantially accelerate your business success: Clear Objective setting, Ownership of data management, Integration with Management and Systems Teams and Collaboration between teams.